A man that was wanted in Maryland for robbing several banks was arrested in California. Charles Gibson Jr., age 57, was arrested in San Bernardino and is awaiting extradition to Maryland for his crimes. He has confessed to the bank robberies that took place in Maryland and Belmont County, Ohio in December. Although bank robbery has a somewhat glamorized history when it comes to its depiction on television and movies, in reality, it is a very serious crime. If a person is found guilty of bank robbery, they could be forced to serve long prison terms and pay other stiff penalties. That is why if you’re facing criminal charges for bank robbery it is imperative that you speak to a criminal defense lawyer as soon as possible. Bank robbery is the act of stealing from a bank when employees and other customers are subjected to the threat of violence, violence, or force. Robbery is a bit different than burglary, because burglary typically involves breaking into the location while it is closed. Because robbery involves violence against a person, the penalties are typically much worse than charges for theft. Maryland law considers robbery as the intentional act of taking property or services that are in possession of another person through the use of force or by threatening to use force with the intent of depriving the owner of the property permanently. If found guilty of this felony crime, the person facing the charges could spend up to 15 years in prison. Armed robbery is even more serious and is defined as when one person attempts to rob another while claiming to possess or being in possession of a firearm or other type of deadly weapon. A felony conviction for armed robbery could result in a prison sentence of up to 20 years. 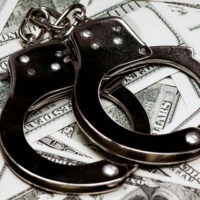 If you are facing charges for robbery, an experienced lawyer may be able to use a variety of strategies to defend you. Such defenses may include lack of strong evidence that you committed the crime including lack of identification, DNA, fingerprints, or other scientific evidence. A lack of eyewitness identification may also be a helpful defense. If all else fails, your attorney may be able to help you obtain a plea deal that could reduce the severity of your charges. This may result in a decrease in your prison sentence, or even eliminate a prison term. Prison terms are based not only on your charges, but on your past criminal history as well. Your attorney will be able to advise you what your best legal options may be. Clearly robbery, especially armed robbery, is a serious crime with serious consequences. That means it is very important for you to have experienced legal representation on your side. 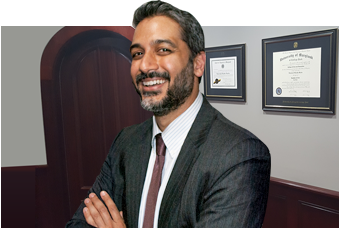 The Maryland attorneys at The Law Office of Hammad S. Matin, P.A. have years of experience helping our clients achieve the best possible outcomes available for their situations. Contact us today to schedule a consultation.